Below is our professional end-users divided into three user categories. Call centric "I talk and listen on the phone with customers for a living." Task based "I work with information and I need both concentration and collaboration." On the move "I'm truly mobile and do my work on the go. Calls are crucial to my work." Our Call Centric solutions are for agents, civil servants, traders and financial advisors who listen and talk for a living over the phone with customers to raise customer satisfaction by solving their problems. Conversation is key to their work, and they increasingly need to perform in calls in noisy environments that also allows for concentration prior to calls. Jabra Biz 2400II delivers outstanding sound on both ends of the call. Our Task-based solutions are for back office functions like marketing, R&D, supply chain, etc. whose work requires a high degree of concentration throughout the day. These solutions are also geared towards those who often need to share their knowledge with colleagues and external stakeholders through online based collaboration. The Jabra Evolve Series is a professional range of headsets offering best-in-class noise cancellation to enhance concentration and productivity in the open office. Whether you need a central speakerphone for your office boardroom or a portable device that’s perfect for travelling with you on sales pitches, the Jabra Speak series has the speakerphone for you. Our Calls-on-the-move solutions are for those who work with a high degree of mobility outside the office. They need to make calls while driving from one sales meeting to the next, or when moving from one location to another. For such professionals, hands-free calls are not an optional benefit they're a requirement. 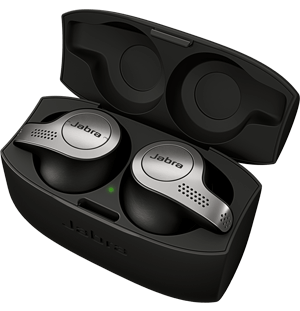 A series of wireless headsets with full Unified Communications integration - the Jabra Motion UC wireless headsets series. Comfortable Bluetooth mono headset with up to 6 hours of talk time. 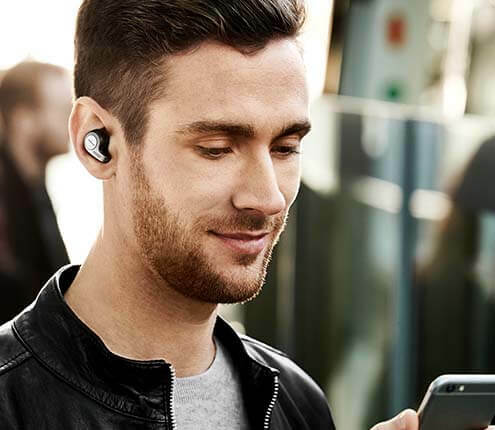 With a sleek elegant design and a sound so real it’s like you were there yourself, you’ll never have to miss a conversation again. It’s time to experience real sound by design. Built for success. Designed for style.